United States Senator Mary L. Landrieu, D-La., today gave testimony to the National Commission on the BP Deepwater Horizon Oil Spill and Offshore Drilling at its open meeting in Washington, DC. Landrieu’s testimony focused on the importance of a long-term coastal restoration plan for the Gulf Coast. Some proponents of the ban on off-shore drilling might say she did not go far enough in blaming big oil, but there is no doubt that the wetlands were in jeopardy long before the catastrophic explosion of the BP Macondo wellhead in April, loss of eleven lives and subsequent release of almost five million barrels of oil. The critical problems facing Louisiana shorelines took center stage in Landrieu’s testimony. 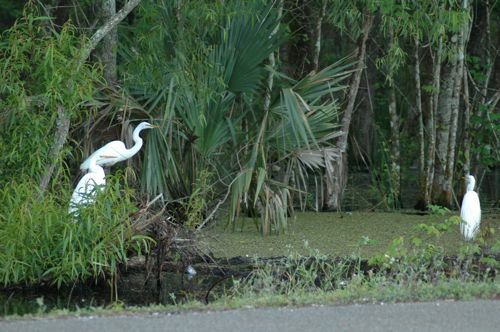 The Senator offered an important reminder that the wetlands of Louisiana have been in trouble for a long time. Five years ago Hurricanes Katrina, Rita, Gustav and Ike issued a devastating wake-up call that what remains of the Mississippi Delta is a rapidly eroding landscape that loses 25 to 35 square miles of wetlands each year. "At the current rate of land loss, an area the size of Rhode Island will be lost by 2050," Landrieu said. "I want to remind this commission that we’ve already lost the size of Delaware in the last 50 years. We don’t have a lot of time to get to the beginning of our restoration efforts." Landrieu did not mince words, blaming the federal government for malfeasance and mismanagement of a delicate ecosystem that has placed the Mississippi River Delta at "extreme risk of complete and utter collapse." Landrieu ticked off the damage: constant and debilitating land subsidence and sustained coastal erosion aggravated by hurricanes and storms that eviscerate barrier islands and coastal plains. The result is that an entire way of life has been under siege for far longer than the five months since the BP disaster. Landrieu drove home the importance of Louisiana to the rest of the nation, a nation that depends fully upon the shipping channels, the oil, and the resources of what seems to be a forgotten state and culture. And with the loss of this unique area goes our nation’s only true working energy coast, a coast that we’re very proud of I might say. It is an economic engine that contributes 90 percent of America’s offshore energy production, 30 percent of the nation’s overall oil and gas supply, and 30 percent of the seafood produced in the entire lower 48. Our working energy coast also caters to one of the most unique and vibrant tourism industries in the nation. It is also home, in Louisiana alone, to more than 2.5 million citizens who operate a great port system of the Mississippi River and in addition to all the other industries that we operate. Landrieu reminded the panel that Gulf Coast states are the only oil producing states that don’t receive a portion of their severance in royalties. "Interior states have received them since 1927. The state of Wyoming got 50% of their oil revenues, they have 500,000 people. They’ve kept a billion dollars," Landrieu said. "Louisiana produced four times the amount of oil and gas Wyoming has. We have 4.5 million people and we didn’t keep a penny." Louisiana has been "shortchanged," by the federal government, Landrieu charged. "$165 billion has been taken out of the Gulf Coast since the 1950s when we started drilling. Very little of that money has come back to us." 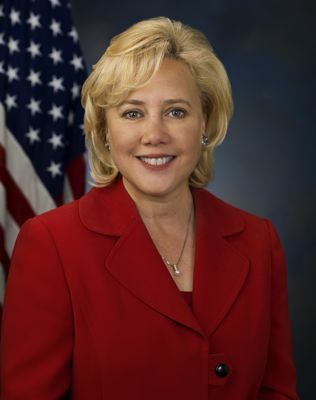 Landrieu recommended that Congress create a Gulf Coast Recovery Council to manage already dedicated Clean Water Funds and coordinate with the Natural Resource Damage Assessment (NRDA), a source of revenue that was fairly substantial under the Alaska-Valdez spill. Mainstream media might also want to take note of the Dead Zone that has plagued the Gulf of Mexico well before the BP catastrophe. Largely ignored in the press, the Dead Zone is the result of the federal channelization of the Mississippi in order to promote transport. The Mississippi River, with its headwaters in northern Minnesota, drains two thirds of the continental United States. The waters flow 2,500 miles, and the affected area is surpassed only by the drainage basins of the Amazon and Congo. The Mississippi brings fertilizers and pesticides along with the silt-ridden currents, and these sediments are carried to the Gulf of Mexico where they are dispersed into the water. This problem has been decades in the making and cannot be attributed to the recent BP oil disaster. Environmentalists will most likely unfairly attack Landrieu’s call to lift the moratorium on drilling, but they will be misguided. The current level of environmental scrutiny on drilling seems less than genuine when the Dead Zone has been ignored for decades, fish kills are a regular, yet under-reported occurrence, and wetlands have disappeared at an alarming rate without national attention. Landrieu ended her testimony reminding the panel that the people of Louisiana are proud of their heritage and know their backyards better than anyone. We create a tremendous amount of wealth for this county, and we’re proud of it. But Mr. Chairman, now is the time to get this industry back up and operating safely, invest a portion of the money that we generate for this nation to protect and preserve this coast and create a model not only that we can be proud of, the United States of America, but a model for the world because we think we do it pretty well in the ole’ USA.